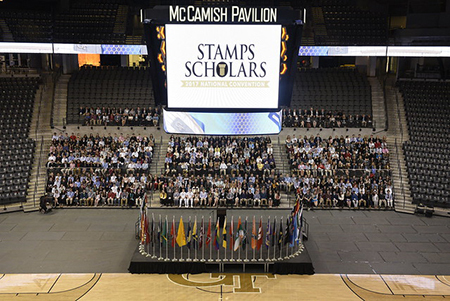 ATLANTA, GEORGIA – April 4, 2019 – Next week, over 700 of the country’s top Scholars will gather at the Georgia Institute of Technology for the fifth biennial Stamps Scholars National Convention. Chosen from over 1.5 million applicants, these Scholars will build on their diverse backgrounds to explore solutions to some of the world’s most pressing issues, from environmental segregation to food insecurity to digital ethics. The April 12-14 weekend event is sponsored by the Stamps Family Charitable Foundation to benefit the Stamps Scholars Program. Launched in 2006 by Georgia native Roe Stamps and his wife, Penny, the nationally prestigious merit scholarship program helps exceptional students become leaders throughout society and has grown to include 40 partner colleges and universities throughout the country. 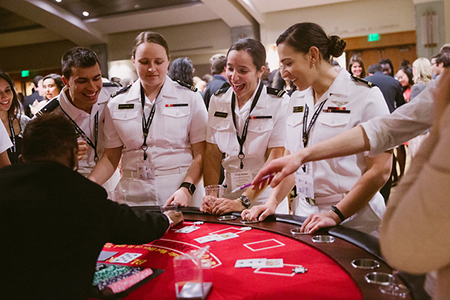 Scholars attending the convention will have the opportunity to learn from some of the country’s most renowned leaders, including U.S. Navy retired Admiral James A. “Sandy” Winnefeld, Jr. and former NFL coach and author Daron K. Roberts. The Stamps Foundation provides Scholars an opportunity to use their skills to give back to their communities and beyond, which is why this year’s convention is themed The Ripple Effect. Students will lean from one another about some of the great challenges facing the world today. Seminar topics include international threat to democracy, approaches to social justice, and the future of art in the technological world. 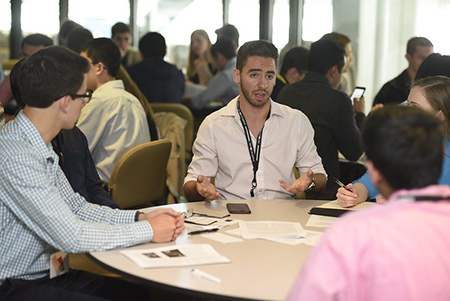 Through these discussions, Scholars will take part in a service challenge, applying their knowledge to real-life obstacles often present in today’s nonprofit organizations. Scholars will partner with a local nonprofit to learn about their mission and come up with approaches to make their work more impactful. Partners include the American Red Cross, Atlanta Area Elderly Care Facilities, AgLanta, and Next Generation Men and Women in Atlanta. Students will share their academic and personal interests through the Scholar Expo, Scholar Talks, Scholar Panels, and the Scholar Symposium, a poster presentation of research, artwork, and study abroad experiences. The Scholars Talent Show will highlight their diverse creative and performance talents. Learn more about the convention at ssnc.stampsfoundation.org and follow #SSNC19 on social media for current updates. Currently, the Stamps Foundation and its partners provide scholarship support to 888 Scholars, with the projected goal to help educate 5000 Scholars in total. Stamps Scholars are leaders both on campus and beyond graduation. There are 961 Stamps Scholar alumni around the world who continue to serve their communities through professional work, volunteering, and leadership positions. Stamps Scholar alumni are among the recipients of prestigious awards including Rhodes, Fulbright, Goldwater, Truman, and Schwarzman scholarships.